Renault knows that MPVs are still needed, and it has given the new Scenic a lot of stunning design touches to make it look like nothing else on the road. Inspired by the R-SPACE concept car, the Renault Scenic features 20-inch alloy wheels as standard, strong lines and shapes, and plenty of colour options. LED headlights and daytime running lights imbue a crisp, elegant style to the front, and are bright enough to keep you - and the road ahead - visible. You can also specify a panoramic glass roof to add to the expansive windscreen, flooding the car with lots of light and airiness. In this car, you'll definitely stand out and will appreciate the break from the norm. With the option of a contrasting roof, plus a range of trim levels and engines, you can configure the Scenic to your exact specifications. It is engineered to provide pleasure, efficiency and security in all driving conditions and environments. You can choose either a five-seat or seven-seat Grand Scenic model. To order or test drive your new Renault Scenic or Grand Scenic, please enquire above. Discover some of the numerous safety features of the Renault Scenic. Cope with a town's many distractions with Scenic's new features. Active emergency braking can detect pedestrians and the risk of imminent collision, and it is also capable of braking for you. If a collision is unpreventable, the Scenic will apply the brakes to reduce the speed of the impact. Prevent the risk of lack of concentration on a long, monotonous journey. Thanks to its trajectory analysis system, active above 31 mph, the Renault Scenic detects any fatigue-related anomaly and alerts you. If you do not react, it corrects your trajectory autonomously moving you back into your lane. You should always make sure you are alert, but Renault will keep you safe if your concentration lapses. Thanks to the colour head-up display, you have all the essential information within your field of vision (speed, GPS navigation and driving aids). This equipment optimises your comfort and safety because you don't have to look away from the road. The hands free parking feature help you identify the parking space configuration (parallel, diagonal or perpendicular) measures the available space and handles the manoevre. All you have to do is control the accelerator, brakes and gears and enjoy your time. 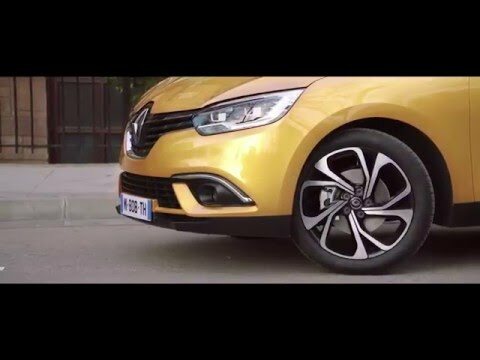 The Renault Scenic's mood can change can too, just like yours! Thanks to the MULTI-SENSE technology, you can choose from five driving environments: "Comfort", "Neutral", "Sport", "Perso", or "Eco". Enjoy an amazing and different driving experience on every journey. We are an approved franchise dealership at Hartwell Renault Kidlington. To find out more, book a test drive or get the best deal on the Renault Scenic, contact Hartwell Kidlington Renault. With Hartwell's Price Promise Guarantee you know that you are getting the best price.